A 4 step approach can make-or-break an athlete's season by identifying at-risk participants. Completing a pre-season sports physical often involves a brief lower extremity musculoskeletal evaluation, but often does not address injury prevention measures. Predicting lower extremity injuries in athletes can seem daunting but a simple 4 step approach can make-or-break an athletes season by identifying at-risk participants. By identifying deficits in motion control and addressing at-risk individuals, we can maximize safe participation in physical activity. 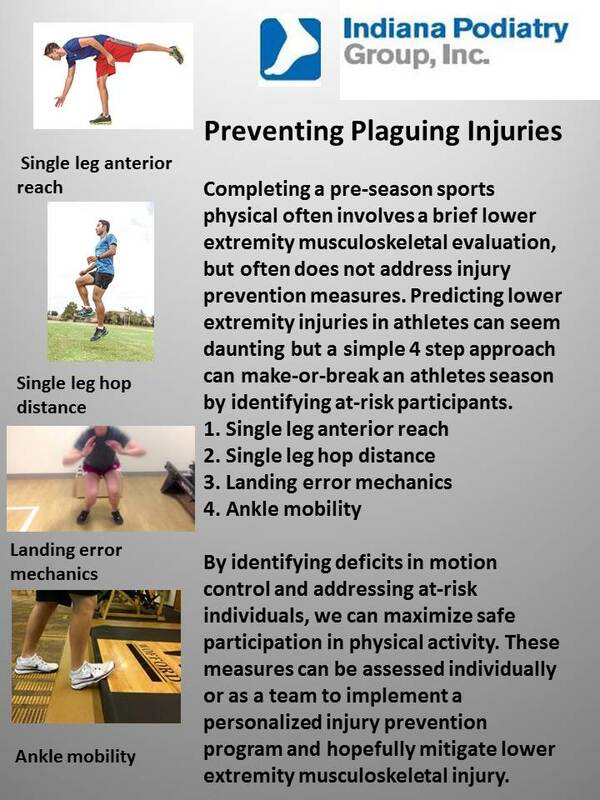 These measures can be assessed individually or as a team to implement a personalized injury prevention program and hopefully mitigate lower extremity musculoskeletal injury.